We have Over 90 Beds to choose from. 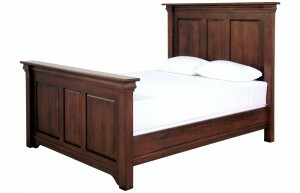 Solid wood bed frames: Our solid wood beds are locally made, and come in a variety of stain finishes. In many cases, there is a selection of headboard and footboard heights. Several of our headboards also have the option of a wood, upholstered or leather panel. All dimensions shown are within 1/4″ due to the seasonal effects on wood and the nature of handmade furniture. Upholstered headboards and bed frames: Our upholstered bed frames are locally custom upholstered and are available in several hundred fabrics. In some cases, the heights can also be customized, as well there are options of button tufting, piping, nail studs and bio-foam. Storage Beds: A number of our wood beds are available with under-bed storage drawers to maximize your space. Several of our upholstered beds are also available with a lift-up bed storage system, which is good for bulkier items. Please note the Boxwood and Tangent Lines are fully customizable in-house designs. Several of the other designs can still be significantly customized.